I LOVE live theater and I want my kids to love it as well. I am thrilled that on January 31 we will be able to see Disney Live! I think your kids would love it too so below are all the details and a way to save $3 off each ticket. After the event I will come back and share my thoughts on how it went. Hope to see you there! Mickey Mouse and friends rock the world with the stars from The Little Mermaid, Aladdin and Disney/Pixar's Toy Story in Disney Live! Mickey's Music Festival. Disney hits are remixed to the hottest sounds of today featuring hip hop, pop, swing, reggae, rock, country and much more! The irresistible lineup of performers, including Mickey, Minnie, Donald and Goofy; Ariel, Sebastian and Ursula; Jasmine, Aladdin and Genie; and Woody, Buzz and Jessie; are among the more than 25 Disney stars featured in this jam session fit for the entire family! You can't resist dancing, singing, playing your air-guitar and laughing with this band of characters! 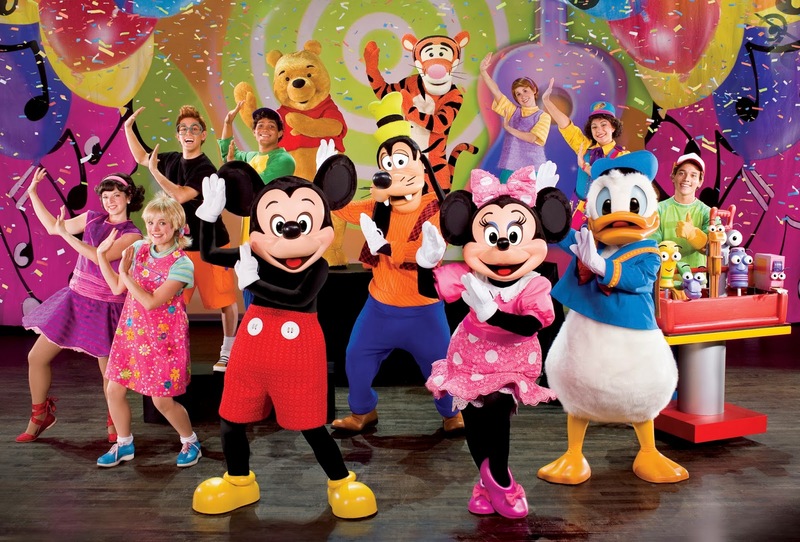 Come join them at Disney Live! Mickey's Music Festival for a lively concert experience guaranteed to deliver enough rockin' memories to last a lifetime. You can save $3 off per ticket using code: MUSIC! Order online here for the 3:30 p.m. show. Order online here for the 6:30 p.m. show.